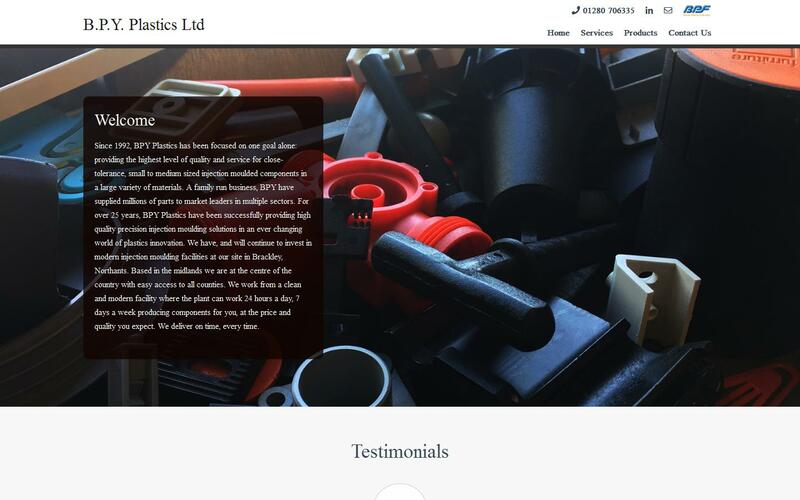 Established in 1992, BPY Plastics are a family run business specialising in the design and distribution of high quality injection moulded plastic components that have been utilised across a vast array of industries and sectors. With over 25 years’ experience in providing successful injection moulded solutions, our company has worked alongside some of the UK’s leading businesses and organisations, providing a unique and innovative approach to each individual project, no matter how large or small. Here at BPY, we ensure that all products and services are completed to the high standards set out b our customers. We firmly believe that the key to success within our business is to create high quality solutions using the latest design technologies and innovations, which has since changed the world of plastics as a whole. We cater for numerous UK-based industries including ventilation, concrete, railway, automotive, construction, water management, furniture, roofing and landscaping. Our products and services are the best on the market and cannot be found anywhere else. Our company has gained an excellent reputation over the years for our reliable and professional approach to our work. We specialise primarily in moulding, tooling and quality control, which is showcased through our years of dedication and experience. We as a company pride ourselves on our ability to provide successful and efficient plastic solutions that can be utilised across a wide variety of sectors. We urge all customers both old and new to get in touch with our team to discuss any queries they may have. BPY Plastics have been moulding products for us since 2004. Product quality has always been excellent, with zero rejects to date. Orders have always been completed on time, and they have always responded positively when 'out of schedule' orders have been required. We have worked with BPY for the last 10 years without any major problems. BPY is an easy company to work with, they are very accommodating no job to small or too large, and they are happy to do secondary operations. If there is a problem they are quick to notify you and to sort the problem out. A friendly family run business. I would happily recommend them every time. BPY Plastics have been a supplier into our company for many years and continue to support us in delivering quality product, on time direct to our customer base. This enables us to reduce our lead time and stockholding keeping our total costs low. They are our first point of contact for any new injection moulding projects we have.